My friend who is a cyclist is having a baby so I decided to learn how to make a quilt. After watching youtube videos and reading tutorials, I came up with this design. I got the fabrics from Joanns. For the back, I got birds and bike flannel. For the binding, I used blooms and berries. I also got the land of whimzie Abc flannel bundle (6 fat quarters). Cut each fat quarter into strips by length (in inches). I did 3 1/4 x 22, 5 1/4 x 22 and 9.5 x 22. My goal was to use up my entire fat quarter so you can approximate your measurements since some fat quarters may be slightly off the standard 18×22 inch measurement.This is what each of your fat quarter should look like when you finish cutting. 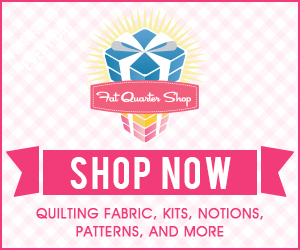 Now, after you have all your fat quarters cut, its time to create your design for each one. For each fat quarter design, I tried to do one with big characters, one with medium characters and one with small characters. It just gives it more dimension when you put it all together. Here is what one of my fat quarter designs ended up looking like. You can mix and match as you please, it will still look good at the end. Now, sew your rows together to get one large top piece. Once you have your top sewn, put it aside. Take your back fabric and lay it flat. I did mine on the floor. Now, take your batting and lay it on the bottom piece. Lastly, take your top and lay it on the batting. You will have three layers. Using safety pins, pin through all layers every 5 inches or so. I am sorry I did not take a pic of this. This will ensure everything stays together just like you want it to. For sewing the actual quilt together, you want to start in the middle, so that it doesn’t get all bulked up once you start to sew. Sew a straight line in the middle and then outwards every 4 inches until you finish the entire thing. Now its time for the binding. I cut 3 inches across the width of my binding fabric and sew them all together. I ended up needing about 8 strips of 3inches x 44 inches. I watched this youtube video on how to do binding. It was really helpful. I also hand stitch the binding to give it a clean look but you can also machine sew it. The only difference is you will have to start your binding on the back side of your quilt and machine sew the top. This way, you can see where your stitch is going. Also, you can use a nice stitch design that comes with your sewing machine. Here is what the final product ended up looking like. I hope my friend likes it.